Aw man, this January Take 10 Kit, guys! I love it. I took a layout from last March that needed cards, journaling and embellishing and turned it into this!! And now there is a referral program!! When someone puts your name in the comments upon check out when subscribing, YOU get a free 3x4 stamp. AND so does your friend!!! I saw it, it's awesome! So spread the word to all your scrappy friends! Find out more about it here. I love the coordinating cut-a-parts. See what I did here? I trimmed it down and put the date on that little label! There's the pocket kit stamp in action. This kit also included the whole set of Heidi Swapp Clear Words. These are awesome. Celebrate, indeed. I'm excited to use all of them!! 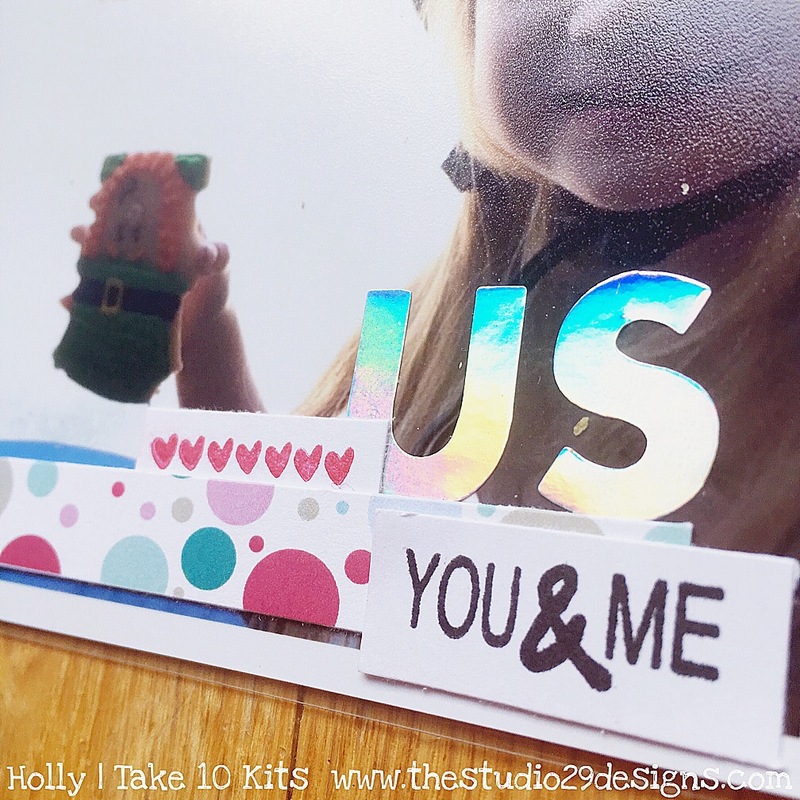 I chose to staple my word to my kit card with my Tiny Attacher. Another cut-apart here to match the 4x6 card I used, more heart stamps and Studio Calico foil alphas. They change color depending on the angle you look at them!! 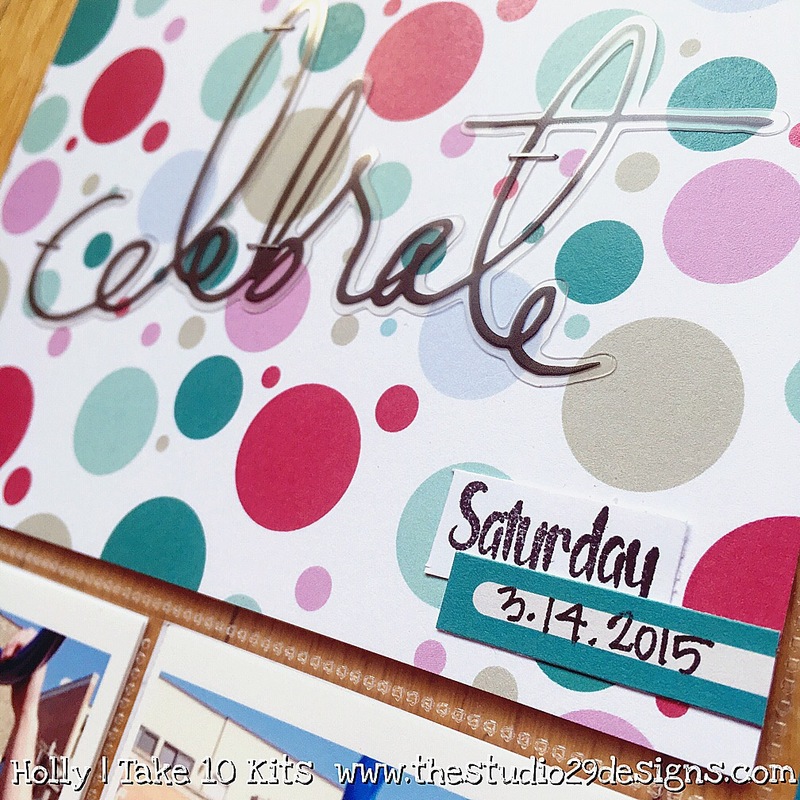 I hope you are enjoying this month's Take 10 Kit "Happy" as much as I am! Below are affiliate links to items I've used in this layout. Happy Shopping! 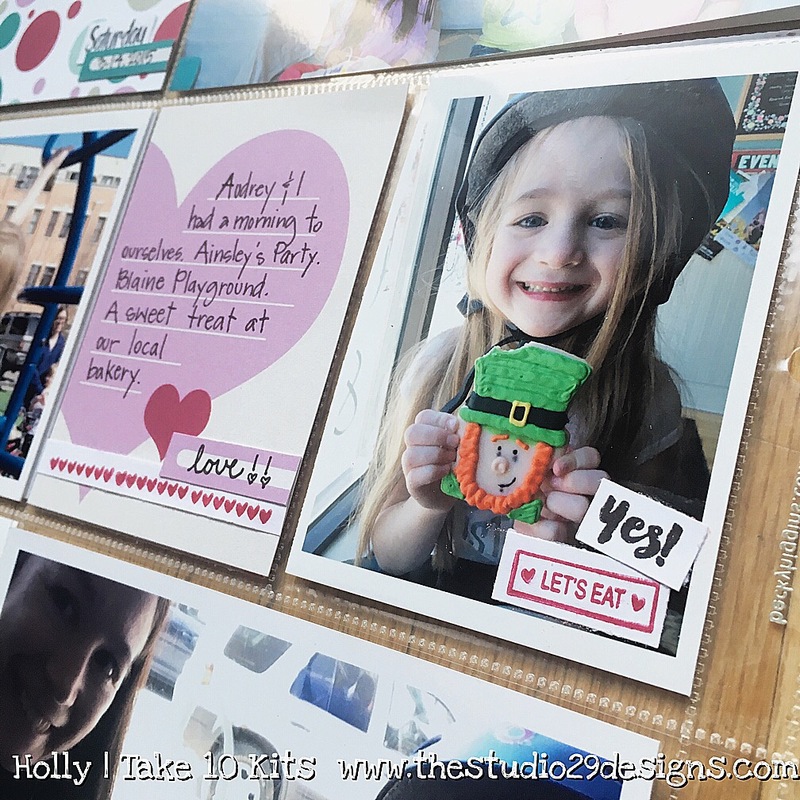 I print my photos at home! 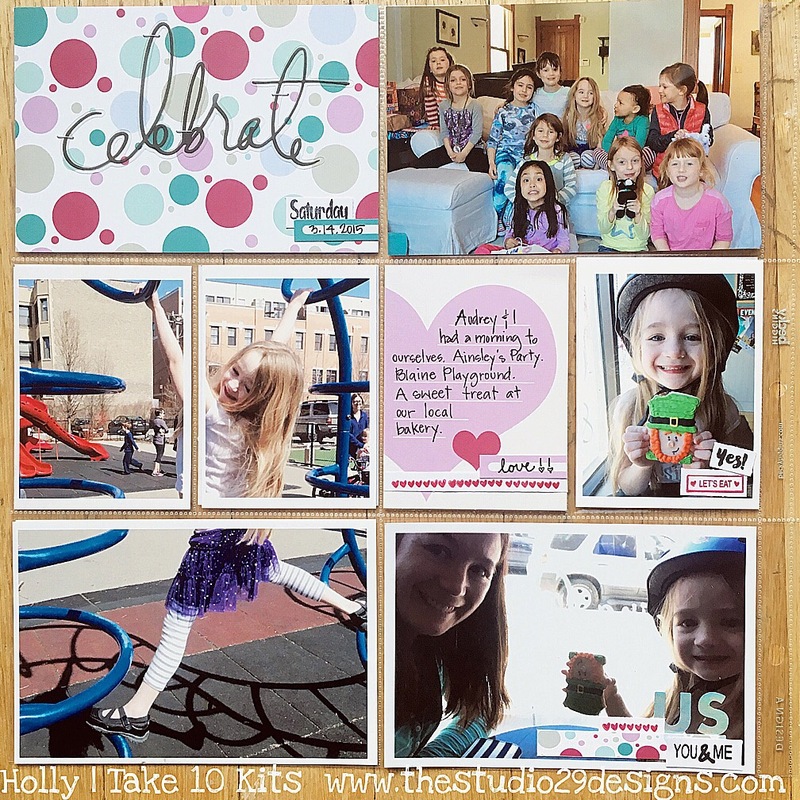 Do you ever print split photos like the one of my daughter on the monkey bars? It's much easier to do at home.